I am a precious fool. As usual I am “winging it”… trying to figure this whole blogging thing out…so bare with me and I fumble through this process on my first day. Precious fool and all, ya know. I suppose I should start this blog by explaining who I am and why I chose the title “Precious Fool” for this blog …if I had to explain myself in a nutshell (which immediately made me think of Austin Powers, but please, get that image out of your head!) I would have to say that I am: Catholic, conservative, pro-life, special education teacher, wife and mother of three sons. I USED to be a liberal, pro-choice wild woman years ago, well, not that long ago … but that’s not to say I am not still wild in my own (new) crazy interesting way. Most people seem to think us conservative Christians are some boring, prudish _________ (fill in the blank with some sort of mindless nasty profanity…)… but let me tell you, being a conservative Catholic is FAR from being boring. I am having a blast BEING Catholic: practicing and learning about my beautiful faith. Hey, I just got back from Eucharistic adoration, LOTH (praying the Liturgy of the Hours) and daily Mass at my parish. AWESOME! Yes …you heard that right, cousin, I said it was awesome. Yeah, I know, there are those who wonder, “What is this crazy woman talking about? Church is not interesting or cool. It’s boring.” Oh BUT you are sooo wrong about that. Catholic Mass is AMAZING. It is heaven on earth. Seriously. Read the book of Revelation again and get back to me… (or read Scott Hahn’s The Lamb’s Supper… that’ll explain it for ya)… anywho… where was I? Constantly derailed and confused…. oh yeah~ My interesting and exciting Catholic conservative life. Yes. Hm. Are we (Catholics and all Christians) not being persecuted by our government right now with this whole HHS mandate? If you don’t believe me go ask my man Archbishop Cardinal Timothy Dolan (or Hobby Lobby, God bless them!). Seriously… it’s exciting.. because we have to fight this evil! WOOT! Our religious freedoms are being trampled upon! YET It is disturbing (that more people don’t see this or are indifferent to it!) and scary (what is going to happen?!) … but excitingexcitingexciting at the same time. I am the church militant! I am a prayer warrior! We will defeat this… (or we will have a good time singing songs in our jail cells together)… oh … hm. Which brings me back to the topic at hand… “Precious Fool”… yeah. So several years ago I was on team for the woman’s May Cursillo at St. Basil’s in Methuen, Massachusetts….wait, what? You don’t know what the Cursillo movement is? … well, if I told you what went on at Cursillo I would have to kill you… (hahaha j/k… but no serious, I would)… it’s a weekend retreat (oh! but it is much more than that! but that is not my point… moving on!!!) so one night during our team meeting, we were praying, preparing, discussing, sharing and singing… we were singing the song, “You are my All in All” … great song, right? (OH you need to hear them sing it at Basil’s at Monday night liturgy! Beautiful! Gives me God bumps! ..but I digress)… so my partner in crime (during Cursillo), Kate, who is not shy and has a great beautiful booming voice, sang this verse: “Seeking you as a precious jewel Lord to give up I’d be a fool.” in a unique and hilarious way. She sang, “Seeking you as a precious fool….” BWUAAhahahahahahahahahahaa …well forget IT! I could NOT stop laughing HYSTERICALLY … I was crying I was laughing so hard… try singing a holy song while trying to control your laughter… it’s not easy! I could notnotnot control myself…. even when it was over I was trying to stifle a laugh as we went on with our team meeting. I failed. Remember being in school and your friend made you laugh in class and you were overcome with the giggles and you couldn’t stop… but you had to and you tried but didn’t succeed in controlling yourself (and got in trouble with the teacher?! )… yeah that’s what happened. Me…snorkling like a fool. I was useless. Riddled with giggles. Anyway… it made me think. Precious fool. That is perfect. We are all precious in the eyes of God, right? Yes (nod your head). And I am a fool for Christ…. wait, you say, what does that mean you ask: Well let’s ask St Paul: Do not deceive yourselves. If any one of you thinks he is wise by the standards of this age, he should become a “fool” so that he may become wise. For the wisdom of this world is foolishness in God’s sight. As it is written: “He catches the wise in their craftiness”and again, “The Lord knows that the thoughts of the wise are futile.”So then, no more boasting about men! (1 Cor 3:18-21). I will happily be mocked, scorned and abused for my belief in Jesus Christ and my Catholic faith. I am a precious fool. So there you go. 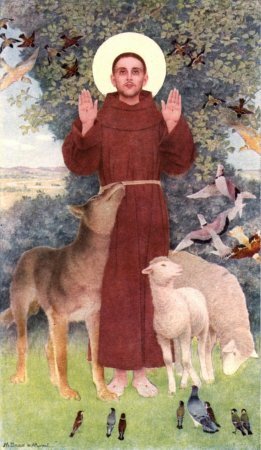 Oh St. Francis of Assisi was also called God’s fool. and I am a Secular Franciscan (I am not professed YET, but I am a member of the Greccio Fraternity)…. I will write about being a Sec Fran (as my husband calls it) another time. Man there are many things to write about… I am also writing because at the moment I am not working. I just finished grad school and student teaching special education in a high school (LOVED IT! I miss them!) and I am looking for a job (which is hard mid-year) … and I am on the sub list, but they have only called me once this week… poo. I was a sub in a Spanish class, good thing I took French in high school. HA! …Anyway.. lots to write about… but I should save it for another day… I could go on and on. Very cool girlfriend!!!! Keep going with this! More people need to hear/see/read about us crazy Catholic women!!! NOT boring in the least! AMEN!